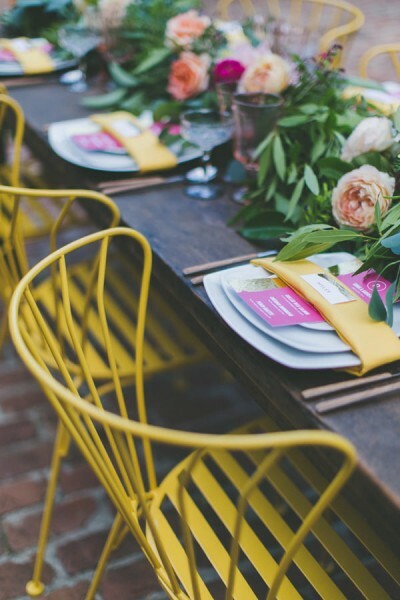 You don’t want to overdo it with a mustard orange and burnt yellow wedding theme, so it’s best to use it in the smaller details and add little pops of colour to your wedding décor. Incorporate it into your bridal outfit with a yellow and orange flower crown, a tasteful mustard yellow cardigan or even bright wedding heels! 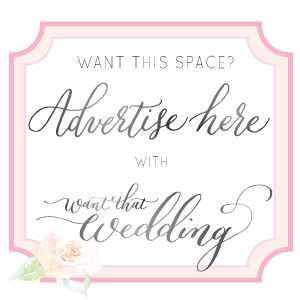 And for your groom-to-be? A mustard yellow or burnt orange buttonhole and bow-tie will complete his look perfectly. Your bouquet is bound to look bright and cheerful. 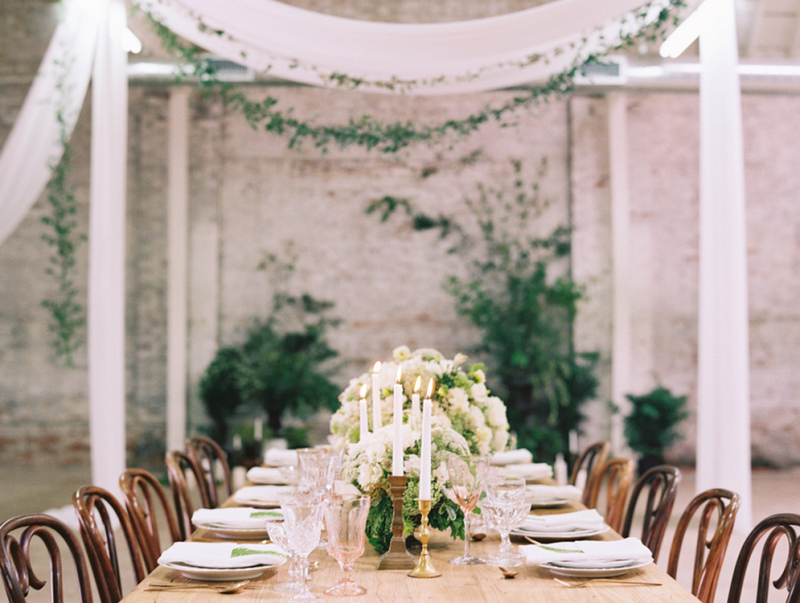 Mix in with lots of white flowers and some wild greenery for a very natural ‘garden-inspired’ look. 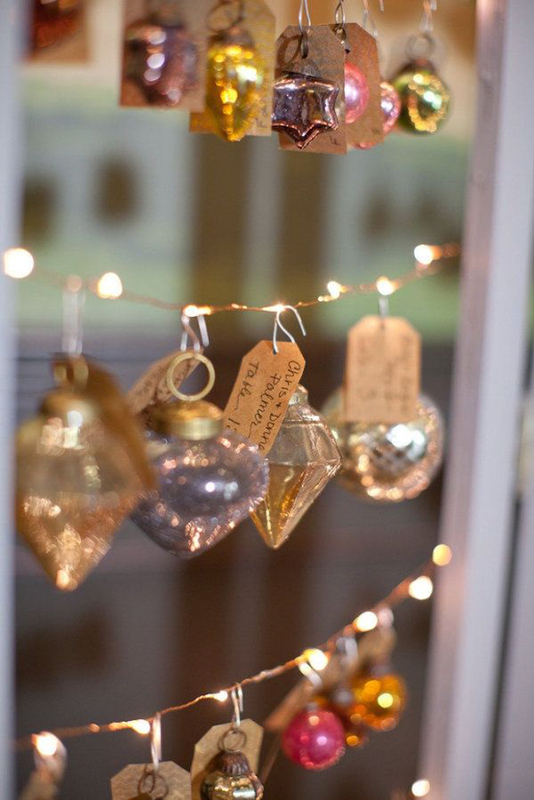 Add a rustic feel to your Autumn wedding by using lots of wooden elements throughout the day. 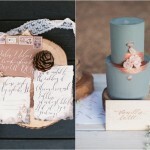 Wooden tables and chairs, wooden cake stand and even wooden ceremony arches will look fab with this colour scheme. 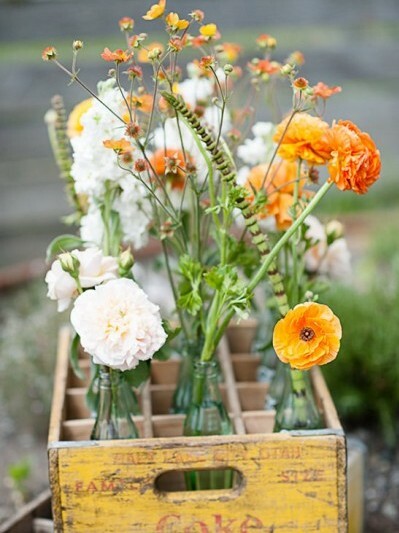 Both orange and yellow will go hand in hand with rustic wooden details. 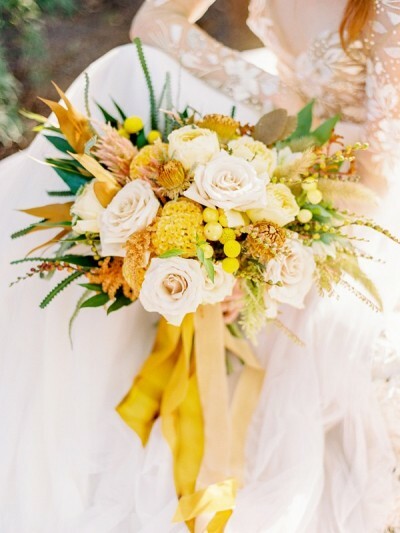 A gorgeous orange and yellow wedding colour combination works beautifully for Autumn, particularly if you work in lots of gold, bronze and copper tones throughout your décor. 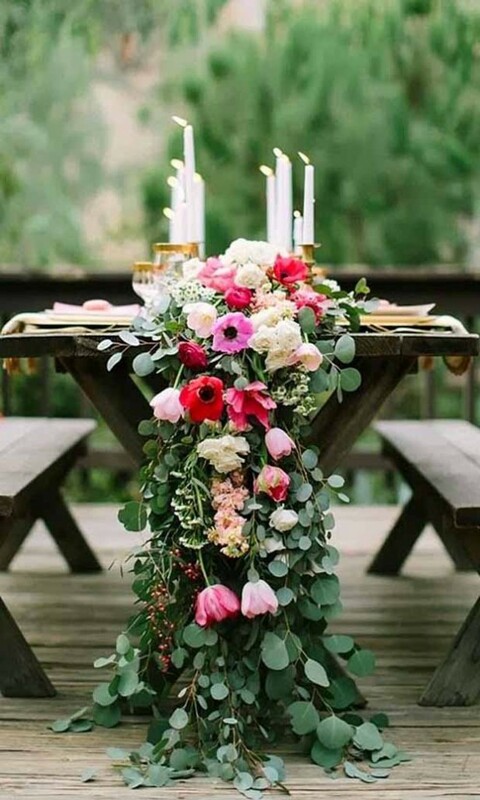 Love this colour scheme but planning a Summery celebration? 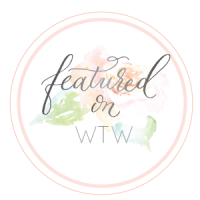 Don’t fret, you can easily make it perfect for Spring and Summer too! Just add lots some hot pinks and teal shades and you’ve got yourself a lovely bright colour theme. Missed anything from this week? 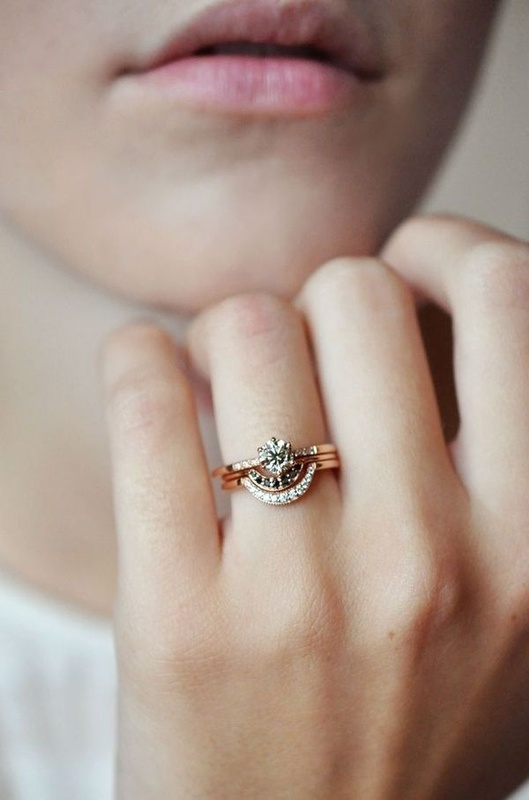 Purchasing an Engagement Ring? Everything You Need to Know About Diamonds! Super Pretty, Las Vegas, Alice in Wonderland Real Couple Shoot! Great idea for a colour scheme – bold and bright. I love it! 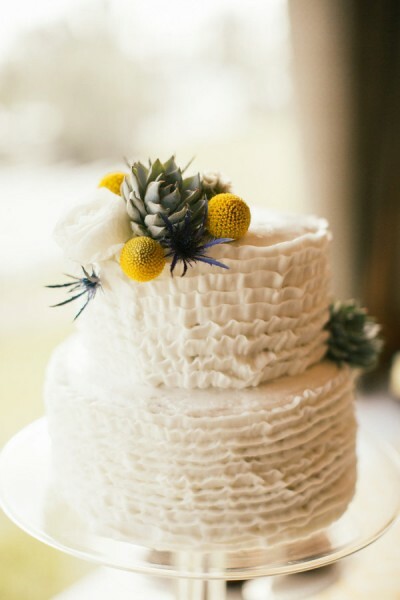 This is a fantastic wedding and we are big fans of your blog! 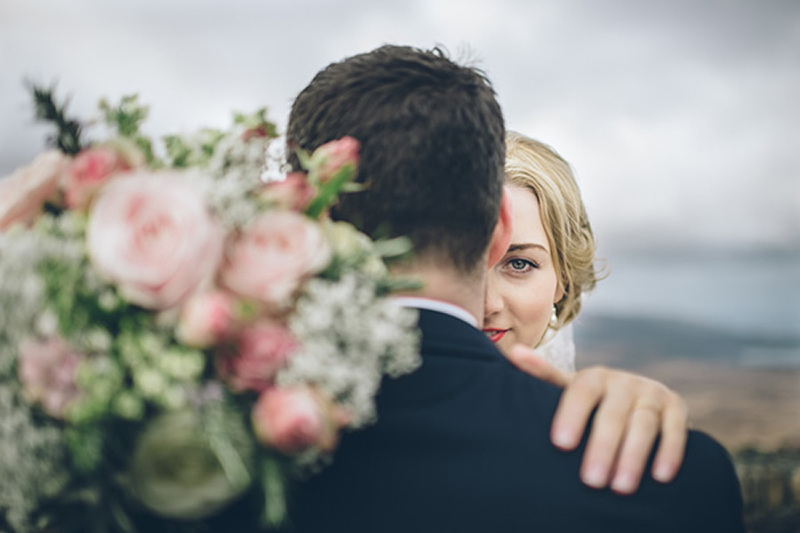 I run a photography company specializing in wedding photography, I’d love to get your opinions on my work: https://www.chrisandhannah.co…. Rustic, with beautiful autumn/winter tones. Very pretty and warming. 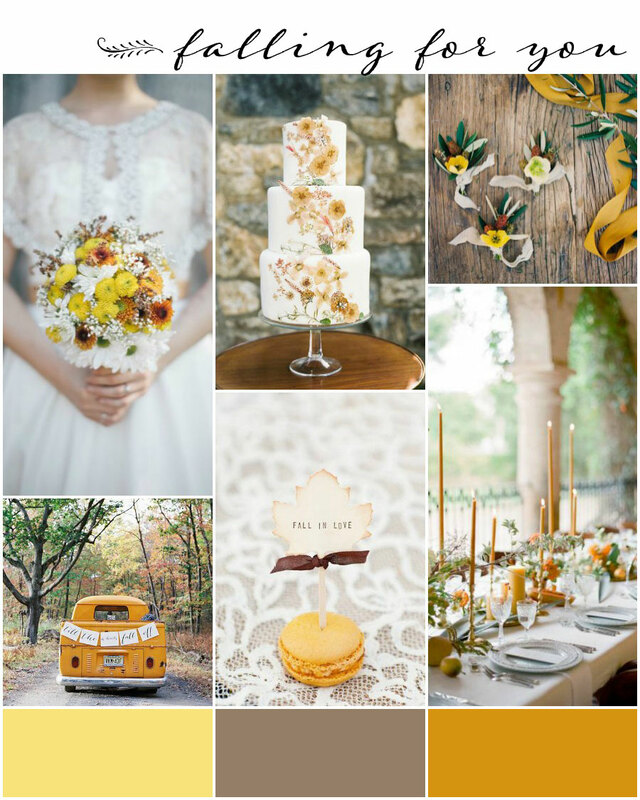 This orange and mustard yellow wedding theme is very fantastic. 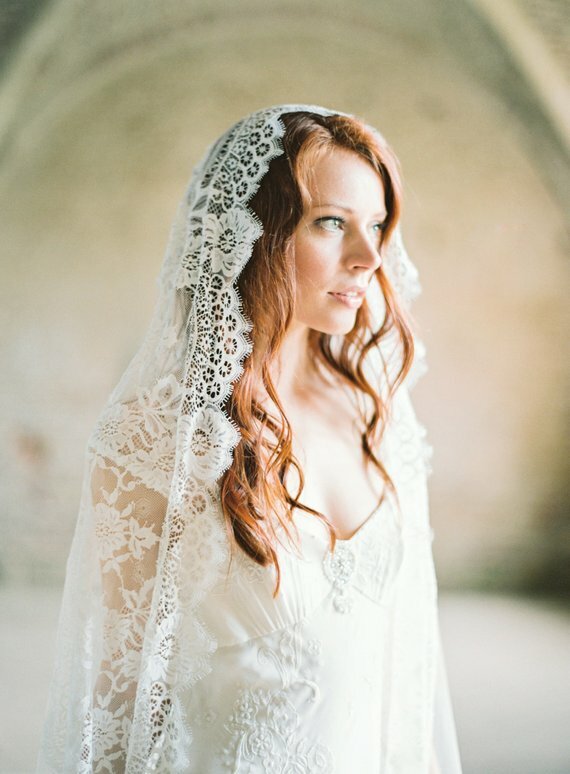 I also agree that choosing a wedding theme reflect your personality and this is very gorgeous. Thanks for sharing this. Cool!